A Texas county accused of concealing records of noncitizens registered to vote has been threatened with a lawsuit by a public interest law firm attempting to gain access to the information. The Public Interest Legal Foundation (PILF), a group that litigates to protect election integrity, sent a notice to the Bexar County election administrator in Texas warning the county could face a federal lawsuit if they continue to deny access to records that the group had requested dealing with noncitizens on its voter rolls. Bexar County, which includes the city of San Antonio, is one of the most populous counties in the United States. PILF says that the county declined the initial request they had issued following the discovery or admittance of noncitizens that were removed from their voter rolls in mid-December. Attorneys for the election administrator in Bexar County told the group they would be denied access to the records if they were to show up at county offices, according to the group. "It is our hope that the County will work quickly to provide for inspection the [sic] all of the records previously requested. If not, according to federal law, a lawsuit under the NVRA may be filed within 90 days after the failure to permit inspection or failure to provide the documents. 52 U.S.C. § 20510(b)," the notice reads. PILF is requesting the information under Section 8 of the National Voter Registration Act, which allows individuals to request "records concerning the implementation of programs and activities conducted for the purpose of ensuring accuracy and currency of official lists of eligible voters." Logan Churchwell, communications and research director for PILF, invoked the Virginia House of Delegates tiebreaker on Wednesday in which the winner's name was drawn out of a bowl as reason why there is zero margin for error and that voter rolls should be properly maintained. "This is a discussion that the organized left does not want to have. On the one hand, we have election integrity concerns for citizens seeing their votes cancelled by unlawful ones," said Churchwell. "We live in a post Virginia 94th world now—the margin for error is truly zero. Further, the unwillingness to open the books on noncitizen registration records only preserves the faulty Motor Voter procedures that trap many unwitting immigrants legally accessing public services in the first place." "An unlawful registration is bad and a vote is worse. All are preventable. Anyone feeling the need to downplay this issue should share their commentary for the deportation hearing of a Green Card holder who was handed a voter application by a bureaucrat," said Churchwell. The Bexar County assistant district attorney, who received the notice of the potential lawsuit, did not return a request for comment by press time. PILF previously discovered 5,550 noncitizen voters that were quietly removed from Virginia's voter rolls and discovered 141 counties across the country that had more registered voters than residents. 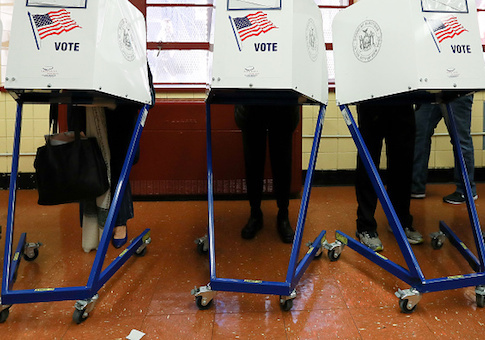 The group warned the Pennsylvania Department of State in early December that it could face a lawsuit for allegedly stonewalling similar requests for records of noncitizens on the state's voter rolls. This entry was posted in Politics and tagged Texas, Voter Fraud. Bookmark the permalink.